Many thanks to the members at Abaisse who helped me decide which species to use. 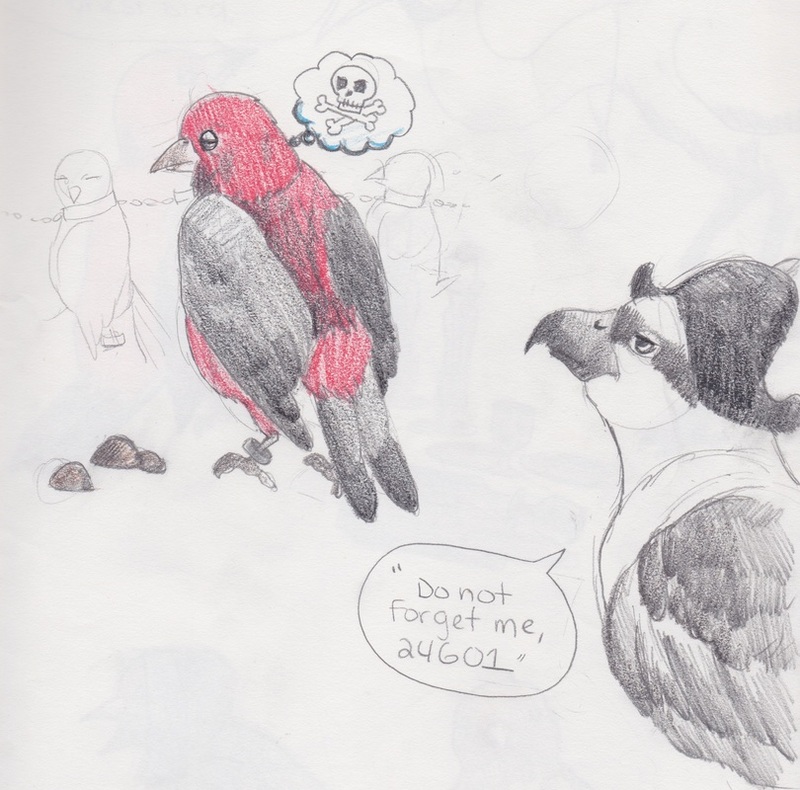 Javert (Osprey) keeps an eye on Jean Valjean (Scarlet Tanager). 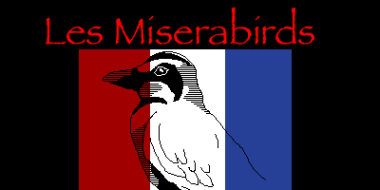 Fantine (Nightingale) plucks feathers to keep her chick warm. 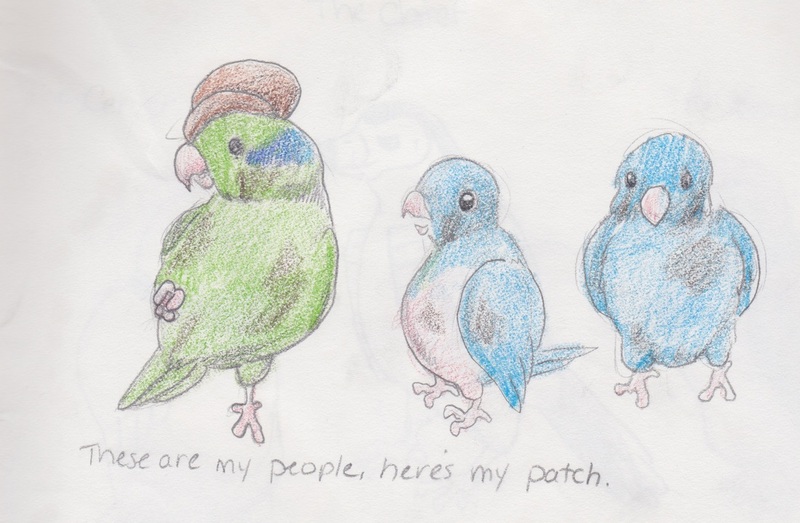 Gavroche (Pacific Parrotlet) and his two brothers. 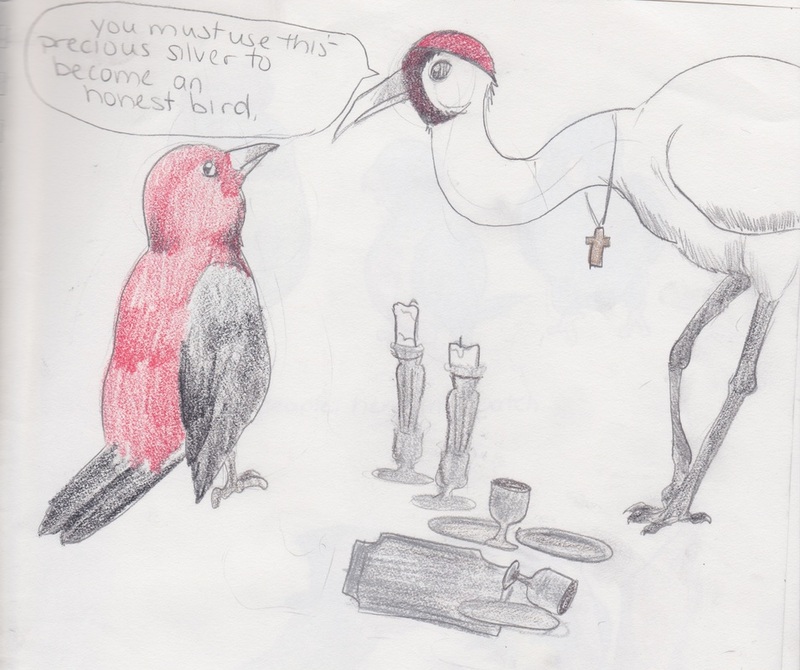 The Bishop (Crane) gives Jean Valjean (Scarlet Tanager) the candlesticks. 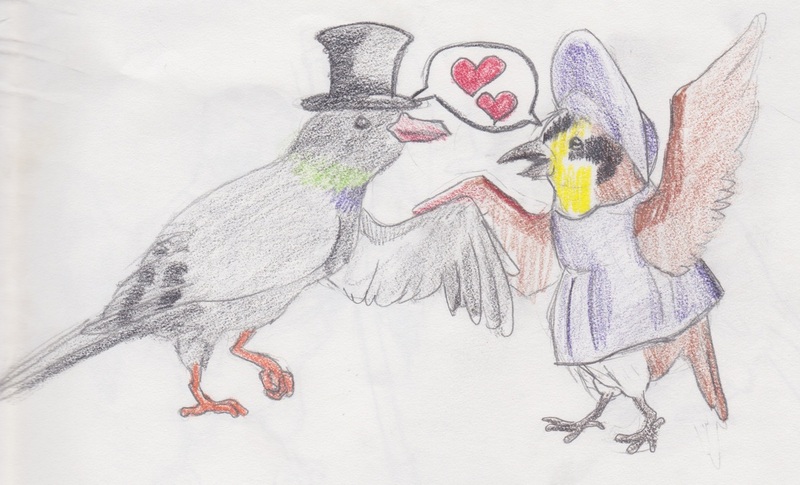 Marius (Rock Dove) woos Cosette (Horned Lark). 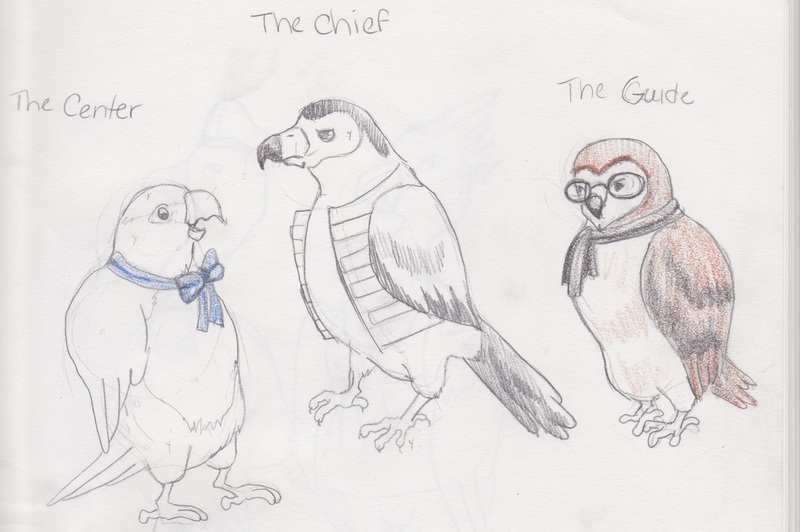 Courfeyrac (Caique), Enjolras (Serpent Eagle), and Combeferre (Barn Owl). 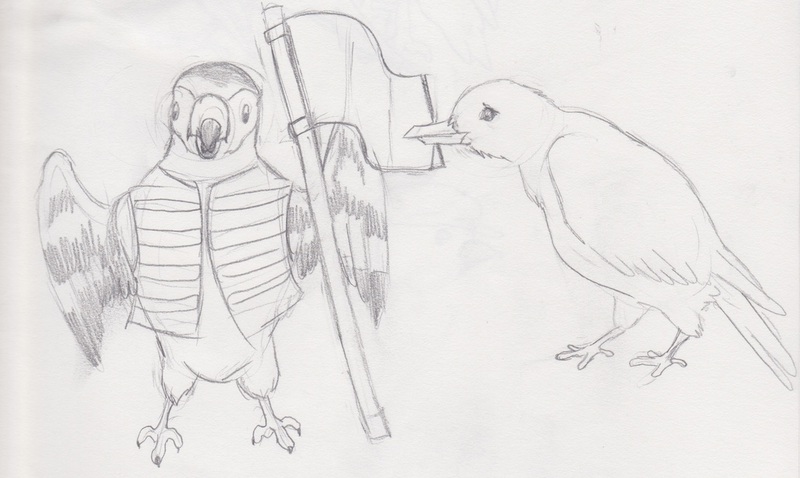 Enjolras (Serpent Eagle) is admired by Grantaire (Crow).